This entry was posted on February 5, 2018 by Tyler Carrington. aFe POWER knows one of the best ways to get power from your engine is to help it breathe better. 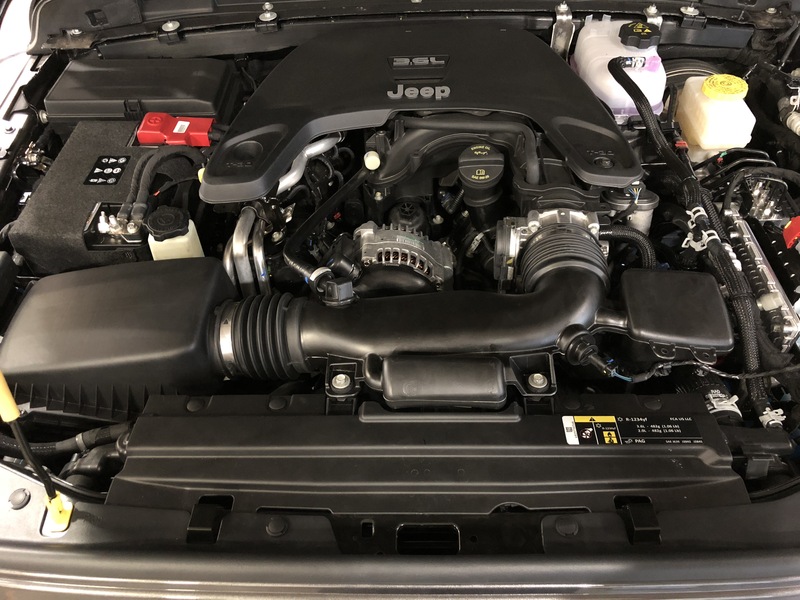 That’s why as soon as we purchased our new 2018 Jeep Wrangler JL Unlimited 3.6L V6 we had to design a performance intake for it. We spent hours mapping out and scanning the engine bay to get the most precise model to design the intake on. Then we spent even more time designing the intake system using the computer program SolidWorks. Within days, we developed a fully functioning prototype ready for testing. 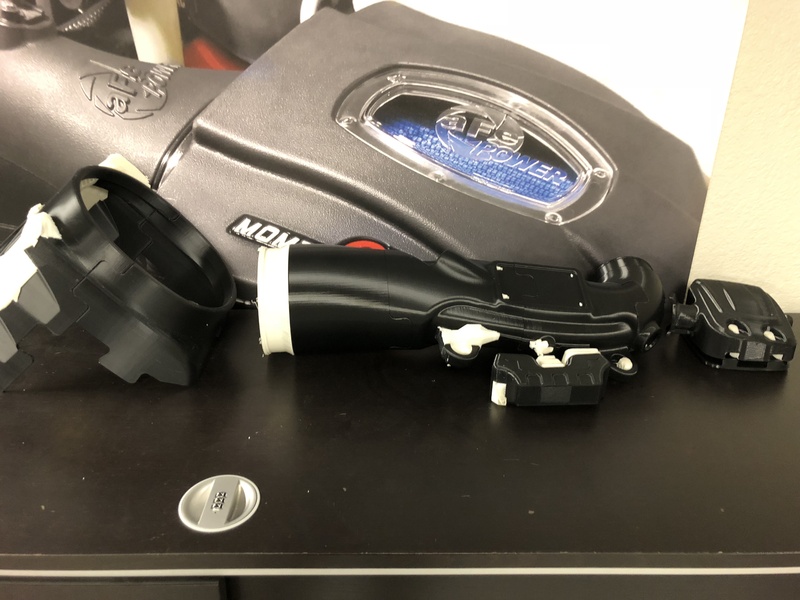 Over two decades of experience, along with our advanced equipment such as our 3D printers and production molds, helped us to develop the intake so quickly. 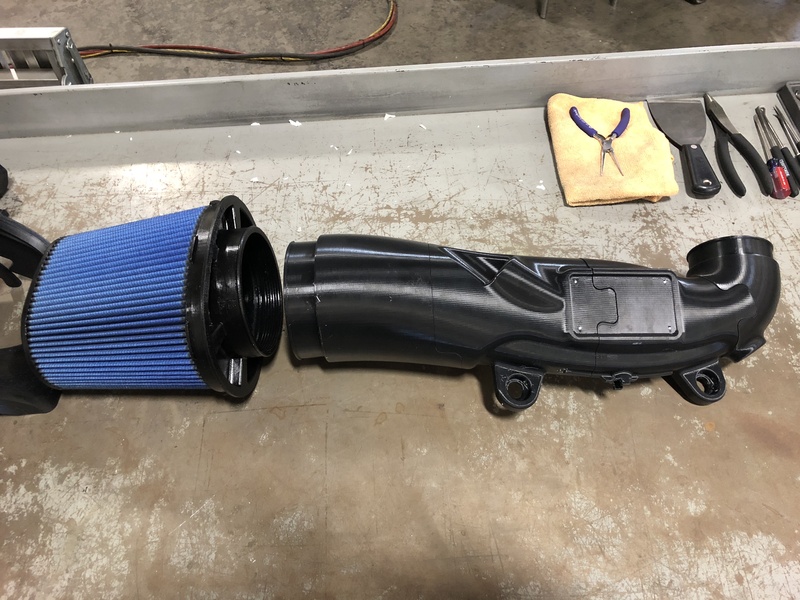 Our first aftermarket intake for the Wrangler JL was the aFe POWER Momentum Intake kit, to give your Jeep aggressive off-road performance and protection from the elements while offroading. 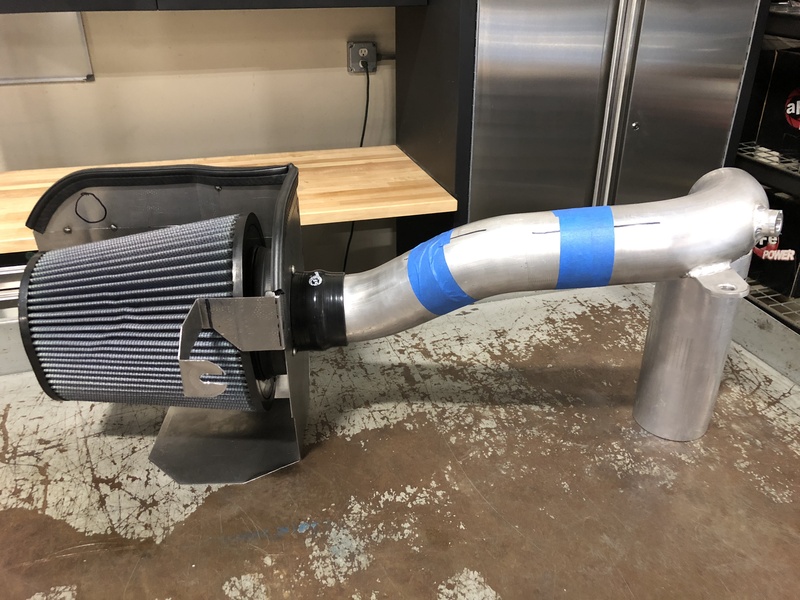 We then set out on producing our Stage-2 Cold Air Intake for the performance enthusiast looking to get the most flow possible, while maintaining a unique exposed filter look when the hood is open. We have multiple designs set to be produced for our new Jeep Wrangler JLU, one to suit every environment and driving style out there. 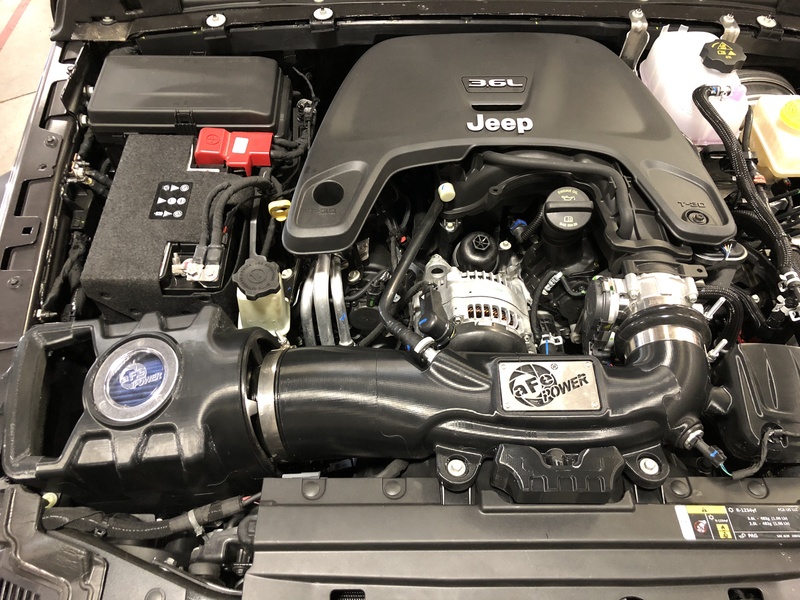 Our preliminary tests with our cold air intakes on the Jeep JL look good, with solid power gained throughout the RPM range of the Pentastar 3.6L V6 equipped Jeep Wrangler JL. The sound produced from the intake system was also deep and throaty under acceleration, a noticeable change from the very quiet stock intake system. Improved throttle response could also be felt from just the intake change alone, which is a key improvement for any Jeep Wrangler. Sound clips of the Momentum prototype are already on our Instagram page @afepower if you'd like to hear what this system sounds like! When is the projected ship date on these? For the Momentum kit we're looking at a couple months, mid-June is the goal.